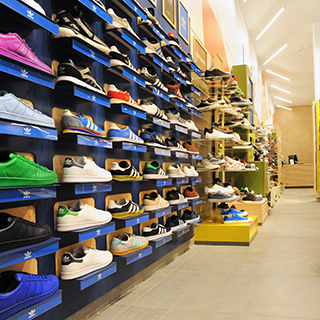 Schuh offers every big name brand of casual and formal footwear under one roof. From Addidas to Base to Converse and from Hush Puppies to UGG to La Coste, Schuh has all the shoe brands you love. 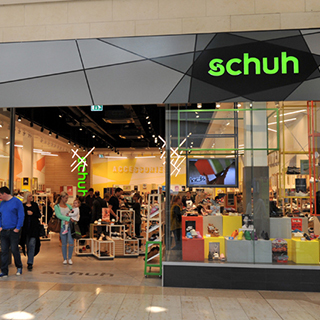 With departments for men, women and juniors as well as fashion accessories, Schuh is simply a shoe-lover’s paradise. How it Works: Use this gift voucher on AllGifts.ie to order gift cards for use in all Schuh stores in the Republic of Ireland. These gift cards can not be used online. Or you can swap for any other gift or voucher listed on the AllGifts.ie website. 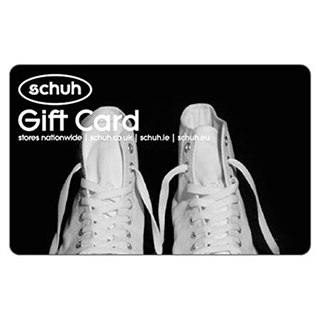 Schuh gift cards are posted out free of charge once ordered. 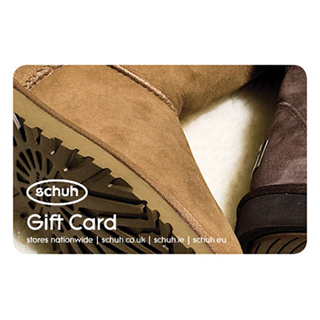 Schuh gift card terms & conditions apply. 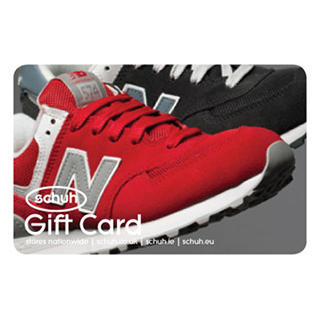 Please allow up to 10 days for delivery of your Schuh gift card. For opening hours please contact stores directly. 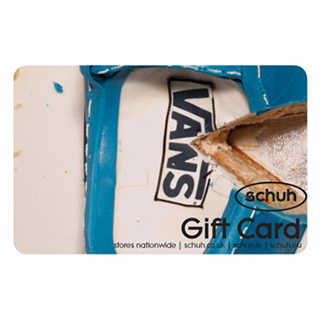 Schuh Gift Cards are posted out free of charge, normally within 5 working days.